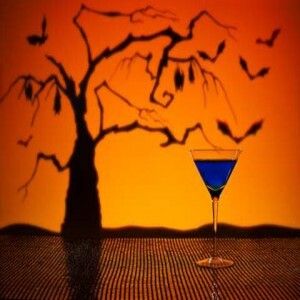 Instead of sneaking your kids’ candy, enjoy a Milky Way Martini! Add vanilla vodka, white crème de cacao, Bailey’s Irish Cream in a shaker with ice. Drizzle chocolate syrup inside a chilled martini glass, then strain ingredients into glass. Serve! I recently made another delish (and easy) martini with vanilla vodka, Fulton’s Pumpkin Liqueur and Rumchata plus a splash of Grand Marnier! It’s so smooth that it’s frightening! Wine drinkers will love sipping our deliciously scary red wines while handing out treats to the tikes! Our selection includes Apothic Carnivor, Apothic Dark, Avalon Sinister Hand, Poizin Zinfandel and Velvet Devil Merlot! Sip a little tequila from a frightening skull with Crystal Head and Kah Tequilas. Just don’t become a raging monster afterward! Make a killer cocktail with Dead Guy Whiskey and apple cider. Dead Guy Whiskey has fresh orange citrus aromas and a delicately sweet, rich malt flavor coupled with oak, honey and vanilla. I swear our beer section is chilling and slightly haunted but don’t let that stop you from picking up some Bridgeport Witchhunt Spiced Harvest Ale, Left Hand Wake Up Dead Imperial Stout, or Rogue Voodoo Donut Beer or Dead Guy Ale.